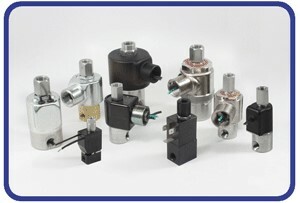 Peter Paul general purpose solenoid valves offer a wide range of control options over the flow of liquids and gases in applications from dispensing to instrumentation, commercial equipment, machinery, medical/dental equipment, control systems and off-highway equipment, to name just a few. Series/Model Std. Port Size Pressure (PSI) Flow (CV) Size (h x w)"